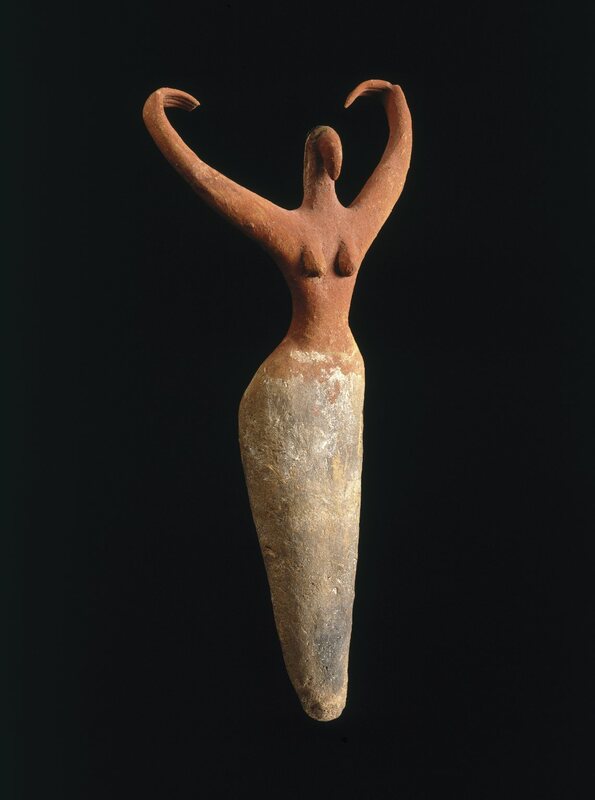 A young woman from the Badarian culture of predynastic Egypt (4400-4000 BC) dances with her arms raised overhead in imitation of cattle horns. 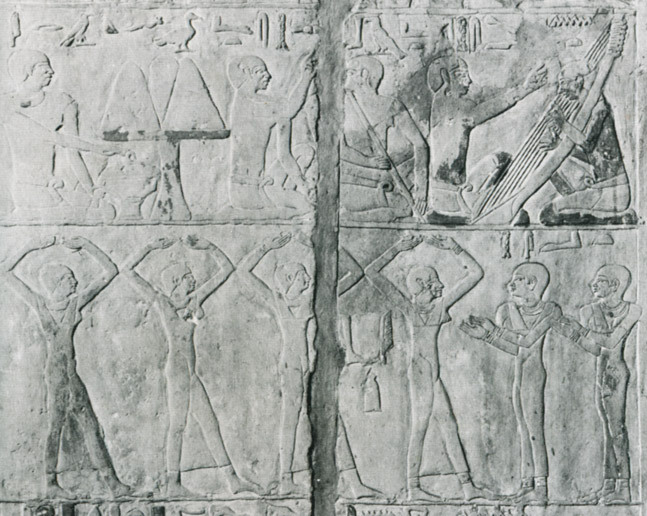 This particular dancing pose is known not only from predynastic Egyptian art but also wall reliefs from the pharaonic period many centuries later. 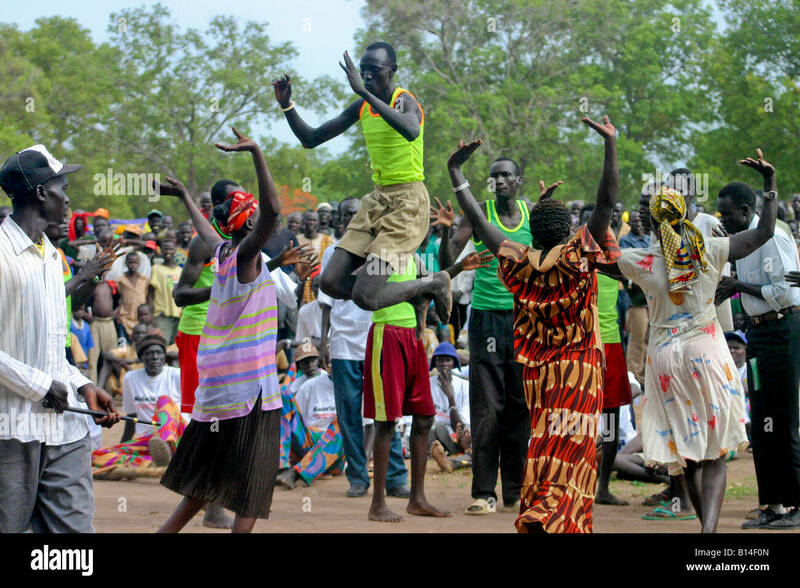 Today, women of the Dinka ethnic group in South Sudan still perform a similar style of dance, which makes sense given the Dinka have a cattle-herding culture comparable to that of early predynastic Egyptians.